Ahh I NEED to go see this one! I only recently caught up on the previous film and as soon as it ended me and my boyfriend were decided on going to see this one when we found the time. And we've still yet to find the time! 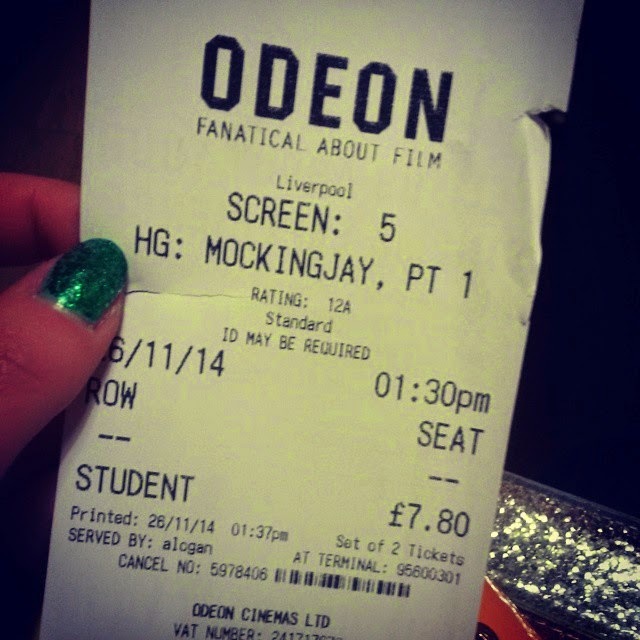 Good that you enjoyed it, I can't wait to see it :) I hate the prices of the cinema, I think it's ridiculous! I enjoy going but my boyfriend thinks it's pointless with the cost of tickets, which is fair enough I suppose.